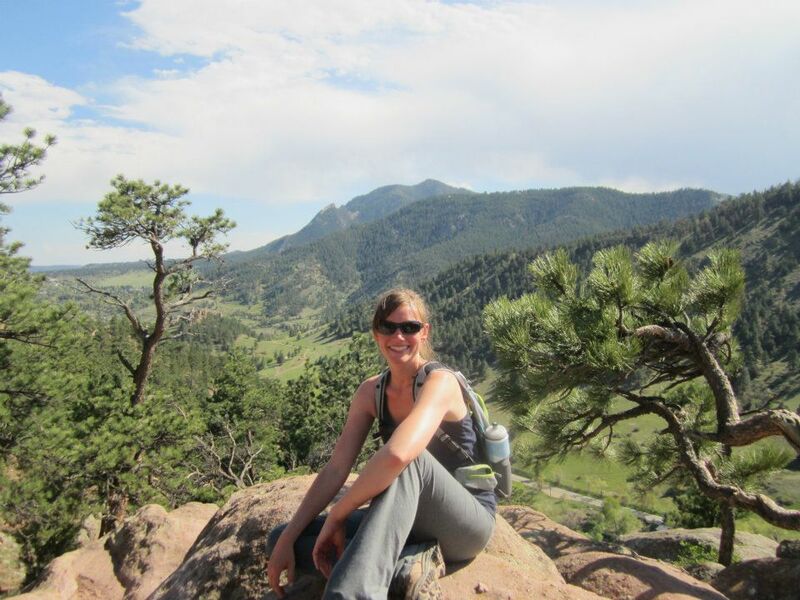 When I moved to Boulder six years ago, I brought with me a reverence for nature and a lifelong lust for adventure. What I did not bring was a lot of experience. There are over 145 miles of trails that border town, offices that offer early dismissal for "hiking fridays," and no shortage of locals willing to give advice. The problem was, for a suburban kid whose free time had been spent in ballet and band practice, wandering in the wilderness seemed confined to storybooks and vacation. There was definitely an element of culture shock when I found myself making my home squarely in the middle of that aspirational world. I learned quickly that Chuck Taylors are not adequate footwear for summit hikes, your high school backpack will chafe like crazy when weighed down by a full Nalgene, sweatshirts will not keep you warm if it is raining. Outfitting myself with the proper gear for a low-key Boulder weekend required me to google terms like GorTex, Vibram, and "wicking." When it came to getting ready for our first dispersed camping trip, I found myself in the middle of REI with yet another full shopping basket and a relentless urge to ask a saleswoman how exactly I should expect to answer "nature's call." Luckily, my new home was replete with accomplished outdoorsfolk whose genuine enthusiasm for offering advice was dwarfed only by their desire to come along. By the time I caught on to the rising trend of outdoor elitism that dominates social media news feeds (Just A Colorado Girl, Heather, writes about it in this article) I had found my backcountry stride and was developing a chip on my own shoulder. The sentiment makes sense. To a seasoned backpacker, a dayhiker in jeans, sneaks, and a sweatshirt looks ridiculous stumbling up the trail with their Evian bottle in hand. I'll admit, I snickered a bit just last week when I descended past a woman beginning the steep climb in patent leather shoes and a fur vest (The Cruella Devil kind). But I quickly checked myself because the point is, she was ON THE TRAIL. She was hiking. In those ridiculous shoes, she made it to the top, took in the breathtaking vista, and descended again with the memory, a story, and hopefully a deeper appreciation for the incredible beauty of this planet that is our home. Sure, more people in the mountains means more cars at trailheads, more crowds on trails, and more impact on the environment. But it also means more interest in the outdoors. If properly cultivated, that interest can grow into respect for wilderness spaces, more knowledge about the world we inhabit, and more desire to preserve it. Helping to guide those adventurous spirits along a path of responsible stewardship is my humble goal. See, I believe that if we assume that the deserving will figure things out on their own, we do ourselves and our favorite spaces a huge disservices. If we view it as our responsibility to preserve the places we love, we need to acknowledge that a huge piece of that is helping newcomers find their way into the wilderness.